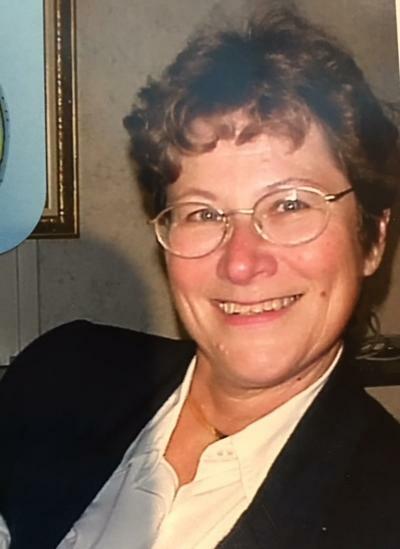 Obituary for Carol Louise Nicholson | Cremation Services of Central New York Inc.
Carol Louise Nicholson, 79, resident of St James City, FL, West Monroe, NY, and Constantia, NY passed away peacefully on October 6, 2018. She was born in Syracuse on July 14, 1939. Carol was the daughter of Edwin and Delia Lenweaver of Syracuse, NY. She worked as a credit manager for Burns Bros and worked as secretary for Crouse Hinds in her earlier years, both located in Syracuse, NY. Carol was a life member of VFW Post 7325 Women's Auxiliary located in Constantia, NY. A member of the American Legion Post 136 Women's Auxiliary located in St James City, FL. She was a member of Elmwood Presbyterian Church located in Syracuse, NY. Surviving are her husband David J Nicholson of 58 years, a daughter Bonnie Potter of Constantia, NY, a son David Jr (Carol Weis) of Maple Lake MN, and a son Stephen Nicholson (Laura) of Baldwinsville, NY. Grand Children, Zachary Potter (Brionna) of Parish, NY, Shane Potter of Constantia, NY, Kassandra Nicholson and Boden Nicholson of Baldwinsville, NY. Carol enjoyed family activities on the shores of Oneida Lake, her grandchildren, boating, motorcycling, and a big glass of red wine. She loved her music and dreamed of dating Neil Diamond, Elvis Presley, and Kenny Rogers. She liked swimming and cross country skiing. She loved collecting seashells and making crafts out of them. Leave a condolence to the family on the Tribute Wall.